SOLD 33x33cm watercolour on paper. 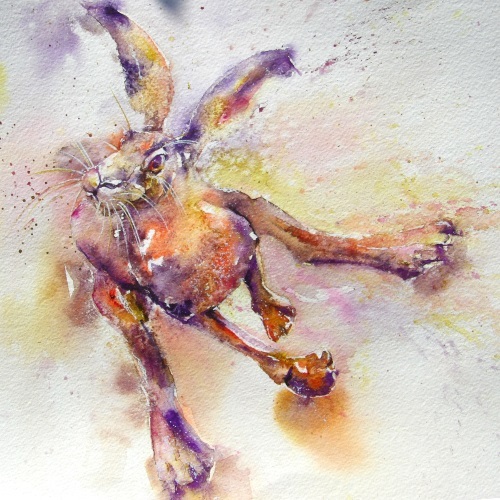 Hares are wonderful to paint, but it upsets me to see so many portrayed as oversize bunnies. They are strong and muscular, raggedy not fluffy. Their habits are entirely different and if you just saw one you would know the difference for ever.